is the difference with Paul Tate Realty. Our consultative approach insures that whether you are buying or selling, our recommendations will be on the mark. We take the time to research and personally view prospective properties before showing them to our clients. Great time and effort is spent to build a sales strategy that works for your property. Hours of market research and history is scrutinized before we set a list price. Our broker and agent contacts are second to none! We spare little expense in the advertising and marketing of your property to insure the broadest reach into prospective buyers. 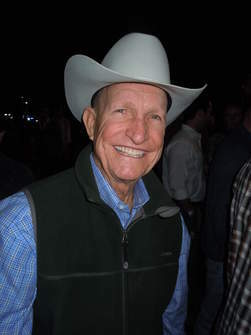 Paul Tate has been successfully connecting families with Texas ranch and farm land for over 30 years. Let Paul help make the dream of Lone Star land ownership your reality. © Paul Tate Realty, All Rights Reserved.